Boiled, scrambled or over easy. Most hotels follow the same recipe for success. 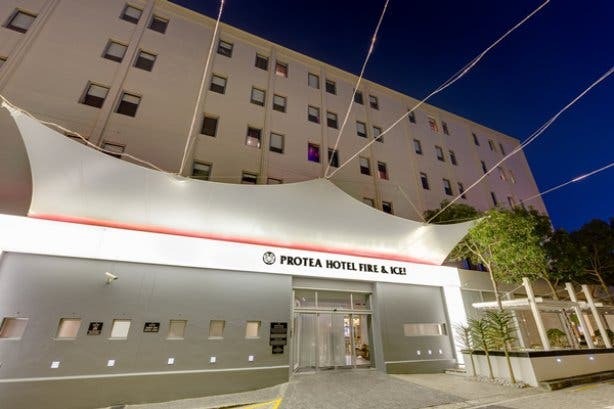 Not the Protea Hotel Fire & Ice by Marriott, which offers a team of specialist chefs, trained in the art of making the perfect egg. Just eggs. They don’t call them “egg-sperts” for nothing. If you can imagine it, they will create it, and just for you. 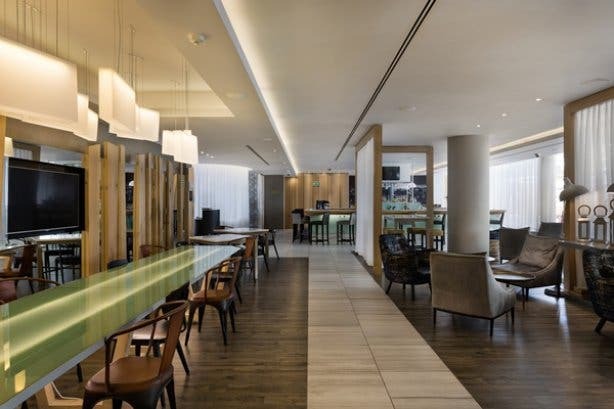 This unique blend of the personalised and the professional is what the hotel does best, from its urban chic design that spills out from low-lit lounges onto an outside courtyard, to its full-comfort service offerings like free parking and free Wi-Fi. And can we just mention their generous and delicious breakfast buffet? It’s a big highlight, right up there with its central location, panoramic views from the outside deck and a cocktail menu that makes you want to toast to another perfect sunset. You don’t have to upgrade your room to feel like a VIP. Luxury comes standard at this hotel, whether you bed down in one of the 85 standard rooms or wake up to a view in one of their 114 superior rooms, seven of which boast their own private patio. Each room comes equipped with a work desk, Bose alarm clock radio and a personal safe that can actually fit your laptop or camera. 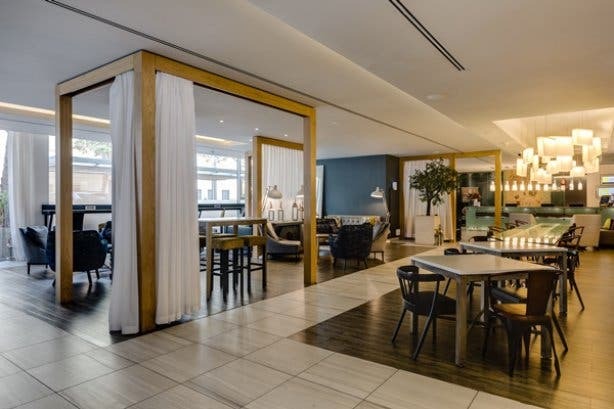 And for the high flyers who need to keep a low profile, the 12 executive suites offer private apartment-style living, complete with their own private kitchen, living and dining areas, and a separate entrance through the secure, underground parking. There is even a lockable storage area underground, making it a firm favourite with the film, fashion and entertainment crews. Not to mention the many celebrities that go attended but unnoticed. Location is everything, but not the only thing at this hip hotel. This is one establishment that focuses on creating a memorable guest experience, whether you step outside its glass doors or not. Of course, you’ll love being able to walk to all the best shops and city restaurants or reach Table Mountain and Camps Bay in 10 minutes. But if you suffer from FOMO, best you schedule in some chill time at the hotel itself because you’ll need time to Instragram yourself hanging out in one of their chic urban lounges or relaxing on the pool lounge deck, sipping one of their 38 signature milkshakes. Yes, you heard right, that’s 38 gourmet milkshakes and counting. We’re talking about their unique “naughty and nice” menu, where nice is an understatement that tricks you into casually ordering the Aero Attack only to come back two hours later for an afternoon of Lindt-O-Licious. And if you’re feeling a little bit “naughty”, make sure you start your evening with one of their “grown-up” milkshakes, like Patronage, which includes a cheeky shot of Patrón coffee liqueur or Tequila Mockingbird, which is known to get the party started. Luckily the party continues downstairs when some of SA’s top DJs hit the decks every Friday and Saturday night and the Samoka Stand-Up Comedy Events adds a few laughs to the first weekend of every month. The downstairs bar is known for mixing daily specials with unique events like silent discos, where guests can dance to their own tune, courtesy of free headphones and your choice of music. Tip: The hotel is proudly water-wise, having fitted catchment tanks on the roof and water-saving devices on taps throughout the building. As such, the pool will also be closed for the duration of the drought. Space is a luxury that this hotel extends to all guests, at all times. No area is off limits and even the outside deck with its stunning city and mountain views is never “closed for a function”. It’s the also a perfect hotel to work from or come home to. The multifunctional space is designed so guests can enjoy a more private work table in one of their stylish lounges or connect with other guests at the long (read: very long) “family style” table, which encourages community and conversation. It’s really a place where design, luxury and personal comfort come together in a seamless package that offers free parking, free Wi-Fi and the added benefits of Fire & Ice-style conferencing, meeting and exhibition facilities. Tip: The hotel also lets you invite all your friends over to watch the game (complete with drinks and snacks) on an ultra-large flat screen in the lap of luxury. Ask about their Man Cave specials. 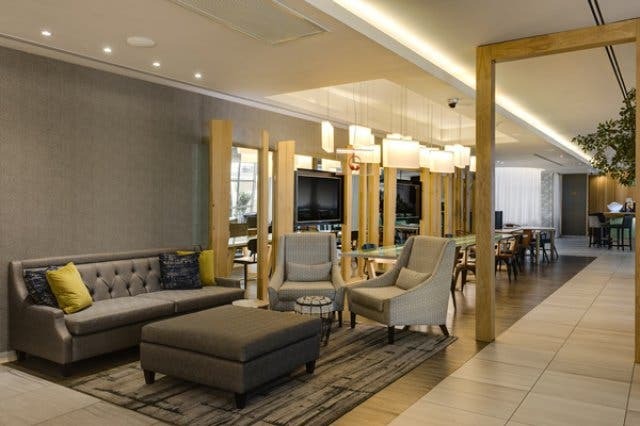 The bill: Prices change seasonally, but standard rooms are from around R1230 per night and Superior Guest rooms around R1373, Junior Suites around R1990. Don’t forget to subscribe to our newsletter. Follow us on Twitter, like us on Facebook, connect with us on LinkedIn, check out our photos on Instagram and follow our Pinterest boards for updates on what’s happening in and around the Mother City!